Morrigan is creating cosplay magic. Cosplay has always been a passion of mine, though it is quite expensive when starting off at times - especially with more elaborate costumes! I came here to be able to delve into my passion and have you here every step of the way! I'll try and make it as inclusive as possible, and I plan on putting up my work as I go so you'll get to see everything come together with me and the final product! I hope you decide to come along on this journey! You'll have access to my Patreon-only feed. ➴ Access to my Patreon-only feed. ➴ Access to my images showing step by step! ➴ Access to my images showing step by step. ➴ Access to my videos of the process long before it goes public! 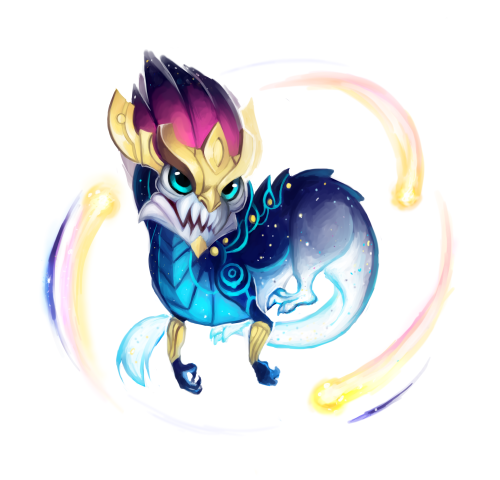 When we reach $100 I'll be able to start making progress toward my current project: Aurelion Sol from League of Legends! I'm going to be putting out work on a lot of it before we hit this point, but any work toward it will significantly help the process move quicker - I have BIG plans for it!